Read more about the Article and #YAW2017 here. In a small village in western Kenya, I had my first encounter with farming. Farming was hugely defined by women waking up early every day, with a hoe and a machete, and spending a whole day physically tilling the land. The little inherited knowledge was enough to manage farms. This farming system worked for a long time when our forefathers had fertile land, hugely fallow with plenty of time to regenerate. Now things have changed. We are at a time when over 60 percent of Africa’s agricultural soils have degenerated, weather has become more unpredictable and the demand for food has increased. Looking at my home village, our hereditary land tenure system has resulted in fragmentation of the available land to uneconomical farm sizes. Productivity per farm has reduced, and even farmers are no longer immune to hunger. The cost of being a smallholder farmer is increasingly becoming unbearable. We are in an era where productivity is dependent on the ability of farmers to adapt and be resilient to the myriad of challenges they face – the challenges that arise from lack of access to financing, knowledge, technologies and markets. Lack of data to support the data-driven service industry has left farming in the old age. In a highly rain-fed agricultural system, farmers have little choice other than to work at the mercies of the erratic weather. Under these adverse challenges, we don’t have much choice but to innovate new ways to make farming sustainable. The biggest hope for making agriculture productive will be the adoption of locally adapted technologies that can help us mitigate the challenges. The use of agricultural technology directly determines how the increase in agricultural output impacts poverty levels and environmental degradation. Low application of technology in agriculture can be attributed to different reasons such as capital and access, but in my experience in introducing UjuziKilimo technology to farmers, age plays a big role in technology adoption. For instance, in Kenya, the average age of a farmer is 60 years. This becomes a huge concern because the life expectancy in Kenya is 63 years. Even with 60 percent of the population being under the age of 30, we are still short of having the equivalent number of young farmers within the agricultural space to drive technology uptake. Our farmers are still a generation older, which means they are less conversant and less likely to adopt the new technologies, knowledge and skills that have come with the information age that the younger population has grown up with and used on a daily basis. To reduce the high risks of practicing agriculture, there is a need to rethink the whole agricultural process and see it as a business, rather than a hereditary practice. Just like any business, each of the farming activities has different aspects that have to work coherently to create a profitable entity. We need to break down agriculture into specific value chain entities that require continuous innovation and attention. This will enable us to see the gaps in the value chain and match them to specific solutions that will bring efficiency to the system. Agriculture has massive potential to be a source of employment for young people. But creating employment for youth in agriculture goes beyond the farm. It spans into the opportunities within the agricultural value chains. To become productive and profitable, African agriculture needs a wide spectrum of expertise. We need computer scientists, engineers, agriculturalists and even industrialists. Agriculture presents opportunities that, if tapped, can create sustainable solutions to the hunger and unemployment challenges on the African continent. We can change the face of agriculture and make it “cool,” demandable and a true source of opportunities for young people. This is our golden opportunity to assure youth have a place in agriculture to actively contribute to the overall modernization of our farming practices. 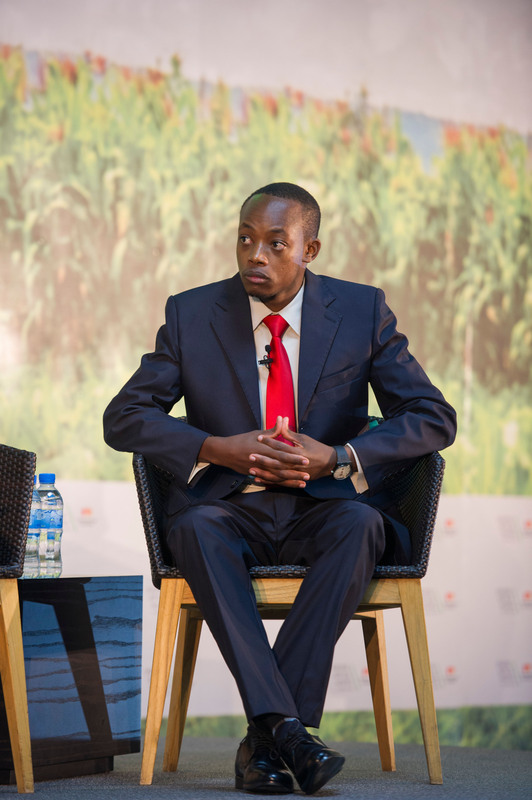 An article by Brian Bosire in line with his keynote address at the Young Africa Works Summit 2017 #YAW2017 in Kigali. Read more about YAW and the article here.